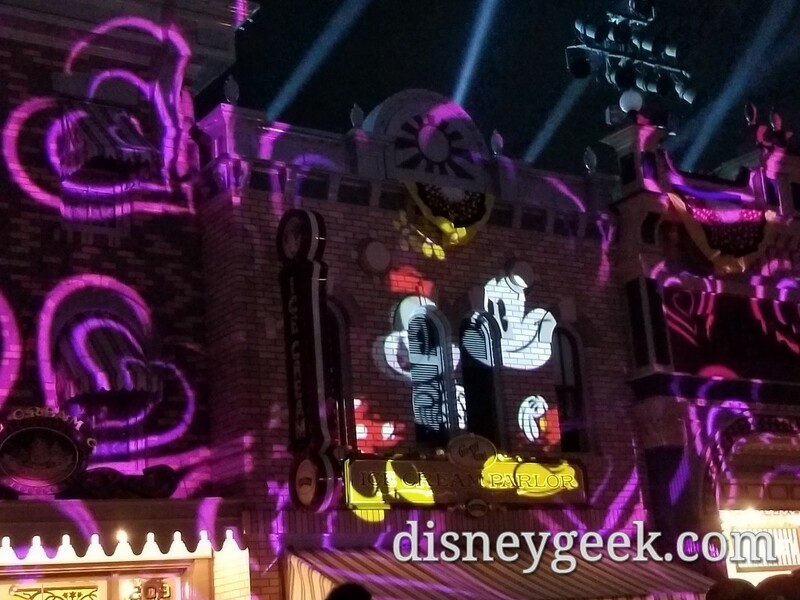 Mickey’s Mix Magic Premiered at Disneyland this evening as part of the Get Your Ears On Celebration for Mickey Mouse’s 90th Birthday. 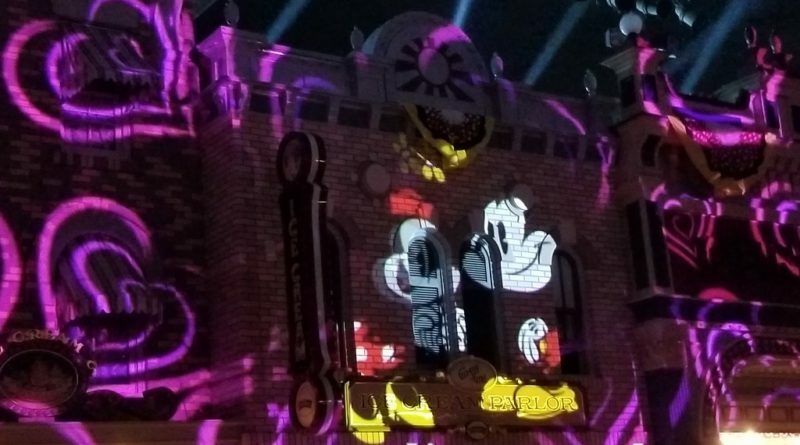 This projection show will be shown most nights. 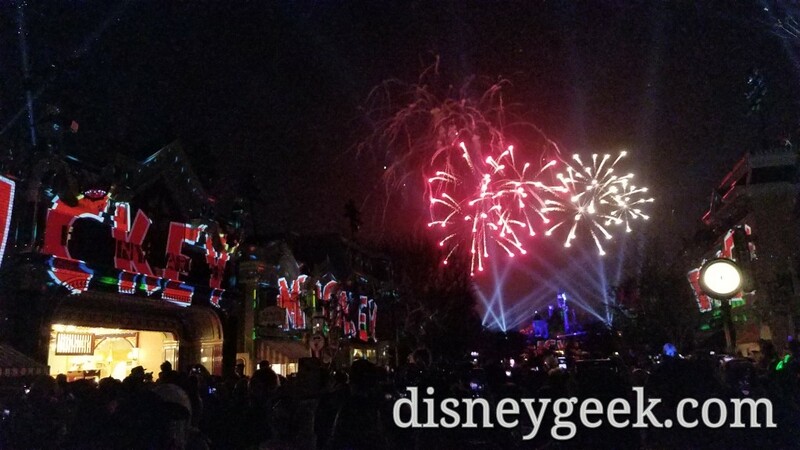 On weekend and holiday nights fireworks are added to the show. 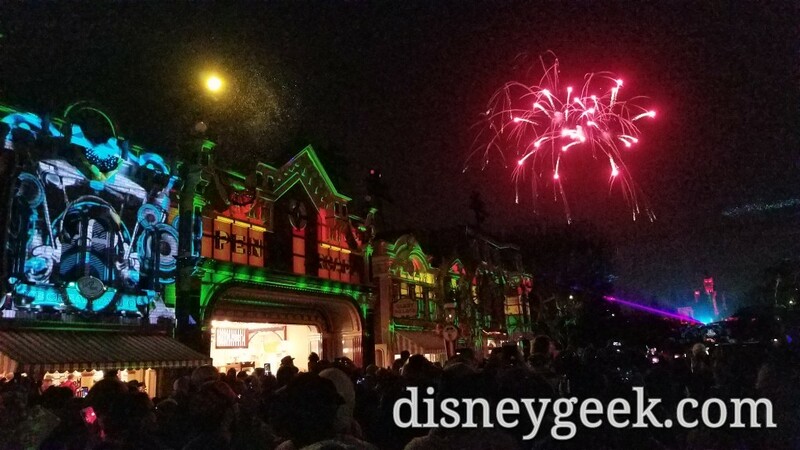 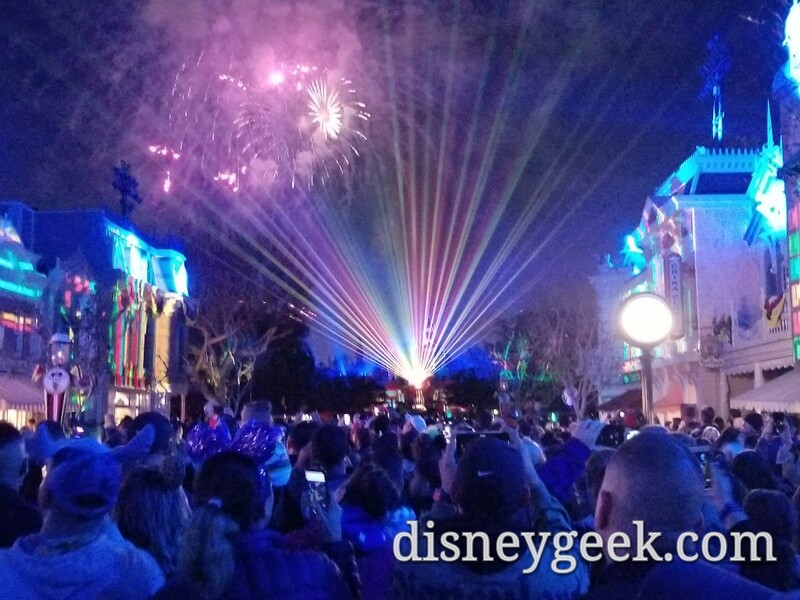 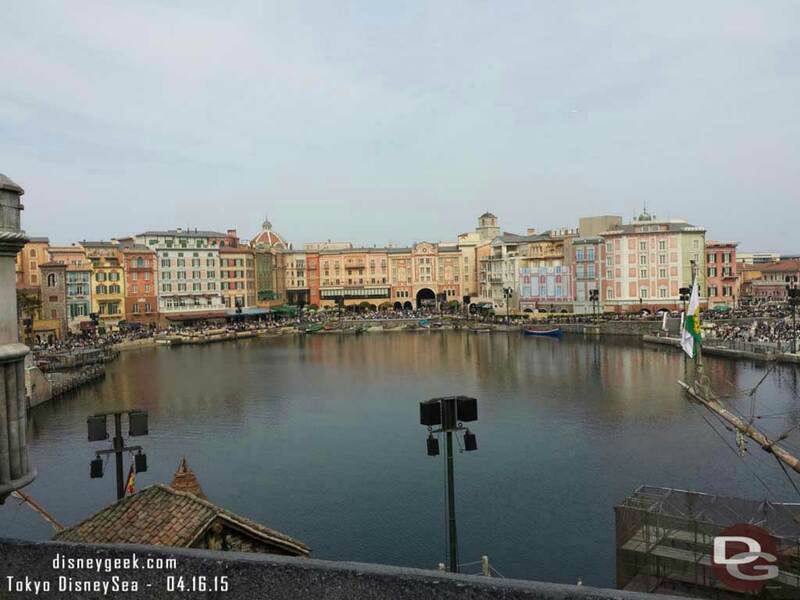 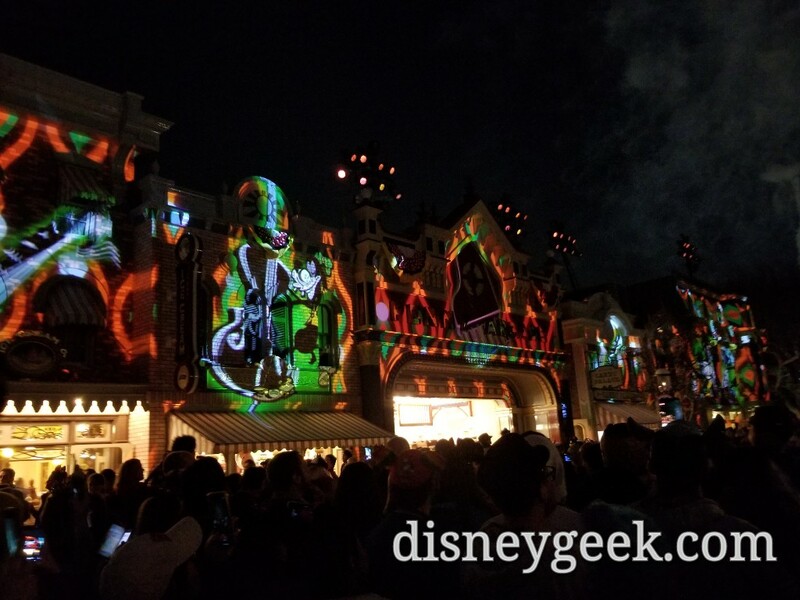 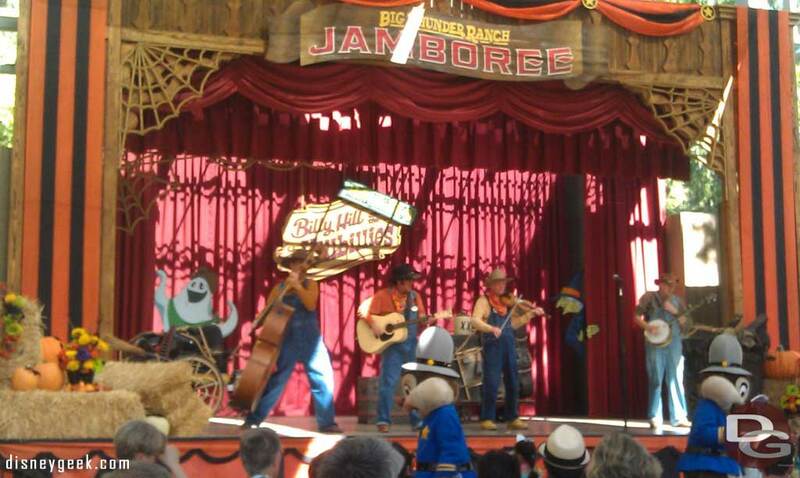 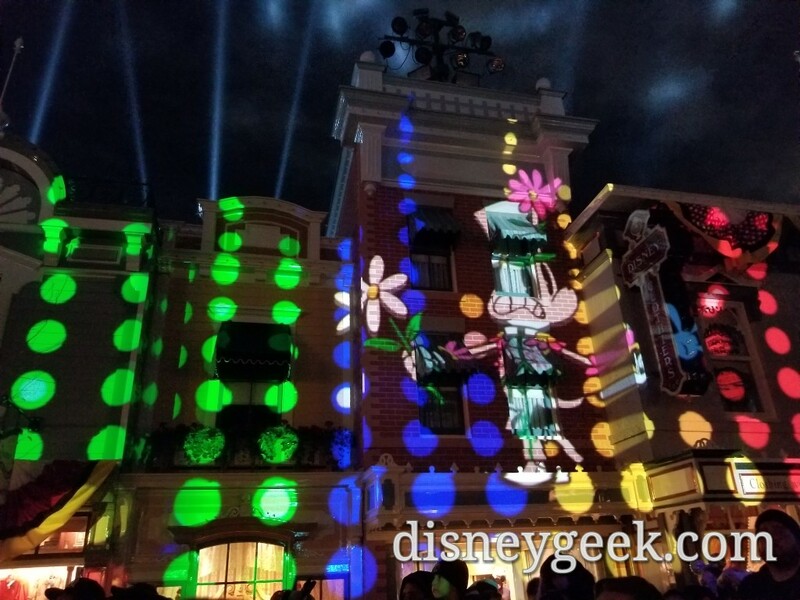 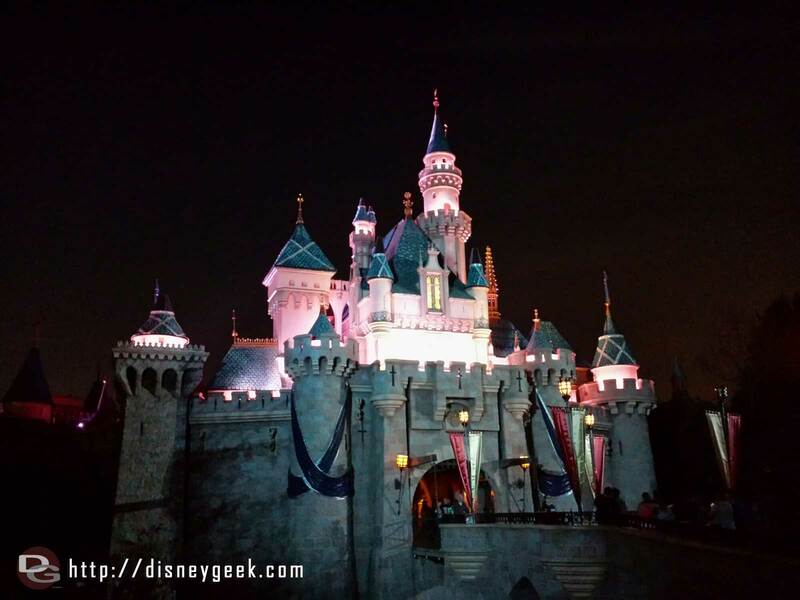 Here are some pictures and video clips from the premiere performance taken from Main Street USA.